This week, the Royal National Rose Society closed its world-famous Gardens of the Rose in St Alban's, Herts and called in the administrators. Dwindling member and visitor numbers and a deficit in pension provision mean it can no longer continue to operate. Sadly, having taken countless hours of hard work all winter the gardens closed just weeks before they were due to open for the summer season and, potentially, bring in some much-needed cash. Founded in 1876, the RNRS was dedicated to roses, their history, cultivation and conservation. The Gardens of the Rose opened over 50 years ago and feature around 15,000 roses, including some now no longer in general cultivation. In 2013 trials of Gold-standard roses were relocated to the Garden from their previous home in Cambridge. Losing a resource such as this would be a tragedy for gardeners and professional horticulturists alike. The UK plant industry once led the world, but a lack of interest from the new generation has seen a massive decline in the planting of gardens, just when pollution and stress levels mean we need them most. Misleading articles in the Press are blaming difficult-to-grow “foreign” roses for a drop in interest in roses generally, but every aspect of gardening is suffering from a lack of good, sound advice on such matters. 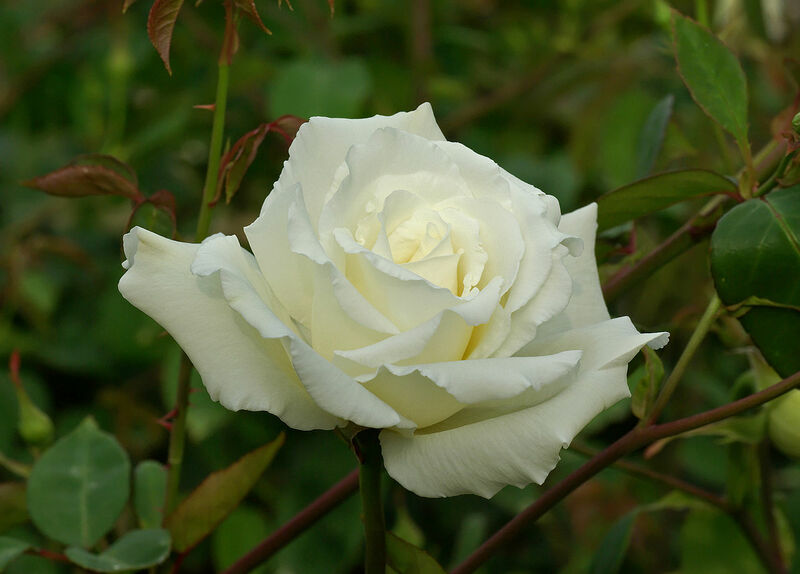 The fact is that rose growers everywhere are breeding for strong, healthy growth and disease resistance as well as good blooms and fragrance. The vast majority of roses on sale in the UK are raised here, in Norfolk and on the nurseries of individual growers. Roses are beautiful, fragrant additions to the garden and, if you want to plant one, go to a nursery or good garden centre who can give you advice on selection and planting, then water and feed the plant regularly and prune it every year for the best blooms. They will grow perfectly well in containers, too.